We’ve covered two Nintendo consoles on these retrospectives and now I want to hit my favorite of them all: the Nintendo 64. This system was full of innovations that found their way into modern gaming, including your beloved analog stick. That’s right. It started HERE. 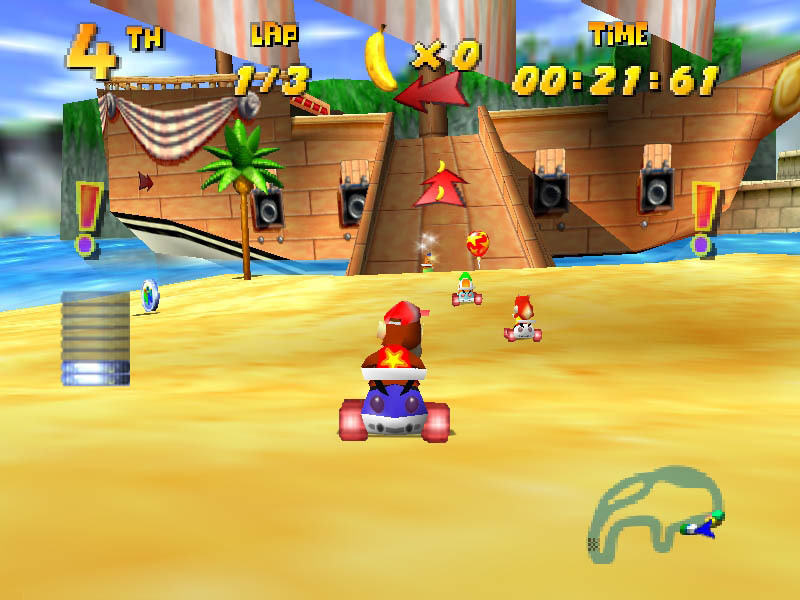 Without further ado, here are some of the best games on the N64. -Yeah, we’re just gonna come right out the gate with this one. A consensus all time great game; and to some, the greatest ever. This is without a doubt one of the most legendary games ever. The first Zelda game to go 3D, OoT gave us a more dramatic look at the classic Zelda/Link/Ganon triangle and made Hyrule seem like a world you could jump right into. 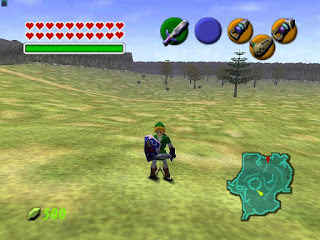 With the innovative “Z-targeting” lock-on feature that would find its way into damn near every third person game seen since then, OoT ushered in a new era of 3D Adventure combat. Add to that some of the best level and dungeon design seen in a Zelda game (yes, even the Water Temple), and you’ve got a no doubt candidate for GOAT status. 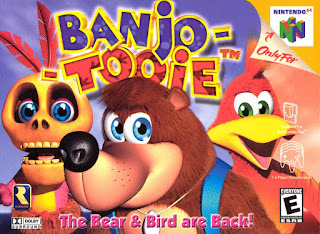 -In the Pantheon of 3D action platformers, the tandem of Banjo-Kazooie/Tooie cannot be forgotten. 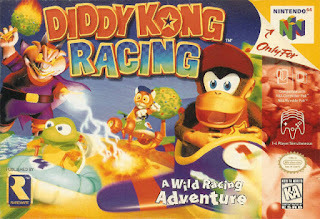 For me personally, these are two of the greatest games ever created and a reminder of the developing talent of Rare, a studio that contributed GREATLY to the success of the N64. 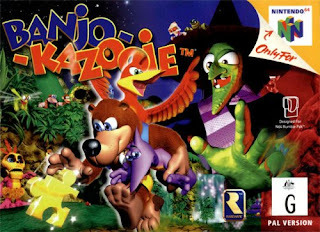 The combination of innovative gameplay, using Kazooie as a weapon and the humor plus great writing made these games as classic as any released in this time. It’s a shame that we never got a proper 3rd game. Nuts and Bolts for the Xbox 360 was fun, but it wasn’t the same game. Yooka-Laylee, a spiritual successor created by some of the Rare talent that worked on the original Banjo games released to some excitement but not a whole lot of fanfare. These two games were in my opinion, two of the best non-Nintendo games released on the console. -That talented studio I just mentioned? Rare? Yeah they made this, one of the greatest shooters of all time and one of the biggest reasons console multiplayer blew up the way it did. This is one of the few movie based games that was a certified classic and it’s not hard to see why, from its iconic single player with tiered difficulty that allowed for more objectives the harder level you played on, to its varied and layered multiplayer maps, Rare gave us a classic FPS that showed it could be done on the console. While Rare did come back and give us the superior Perfect Dark, that game doesn’t exist without this one. Pay homage. -And here we are, a game that’s also considered one of the greatest of all time (that happens a lot on this console...), this is the game that sold N64 systems, that brought Mario into 3D and made camera control in a 3D game a big deal. Yes, that’s what the C buttons were for (Camera buttons, that evolved into the C-stick on the GameCube), which is amazing considering that if you really think about it, Nintendo paved the way for the twin analog stick that’s become a standard in gaming today. It just took a slightly clumsy button placement to get there. 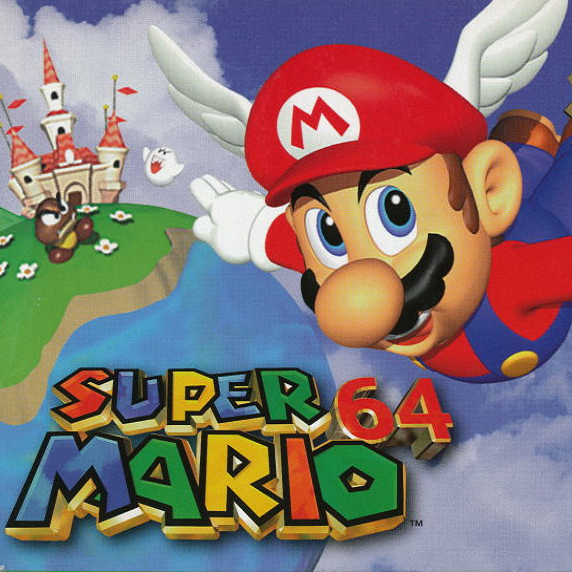 But this game had everything, from the transformations that we had seen in previous Mario games, the incredible level and boss design (though I have always hated the Nintendo Rule of 3 when it came to bosses), and the music that just put everything together and made it feel like a true Mario game. If you played Mario’s newest adventure in the switch and beat it, your love for this game is richly rewarded. This is THE classic of the console and a shining example of just what Nintendo does when it comes to innovation. -Hey look, we have another Rare game on the list. 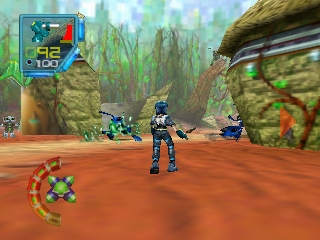 This was a third person shooter that was inspired by a lot of the old school arcade shooters from the 80’s and in a few ways, it was inspired by the Metroid series as far as exploration and platforming are concerned. This was just another example of the RIDICULOUS roll that Rare was on in the 90’s. 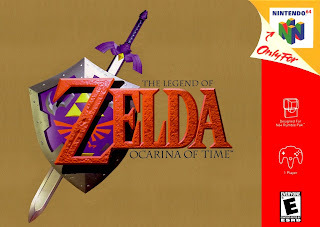 I can’t remember a game they released for the N64 that wasn’t at MINIMUM, fire. 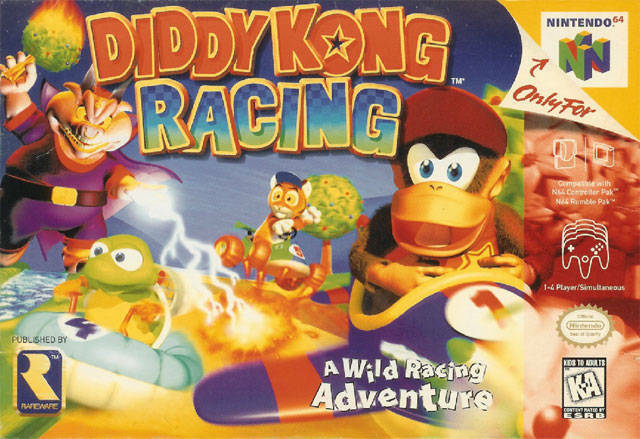 It’s been a while since I played this, I might have to fire up the Rare Replay in my X1 and give this another run. 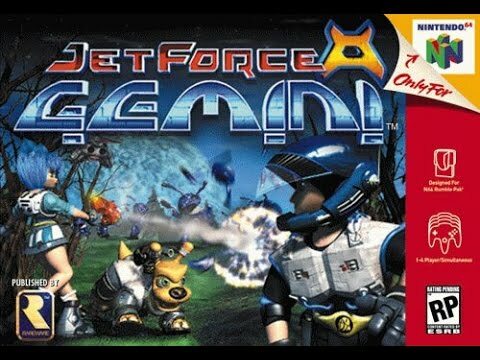 I’m not sure that this game gets the props it deserves...hell I KNOW it doesn’t. 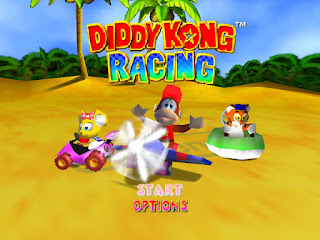 Stay with me here, but I think this game >>> Mario Kart 64. Yeah I said it. 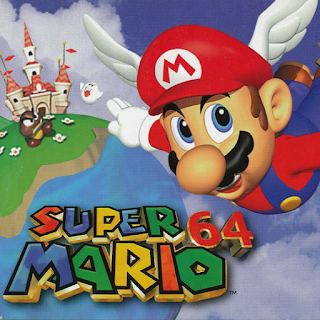 And I love MK64, but this game was so well done especially for its time. I mean, how many times in MK64 did you ride a hovercraft or a plane? ZERO. And if we’re being honest?? The level design was miles ahead and the AI was tough but I never felt cheated. Just challenged. 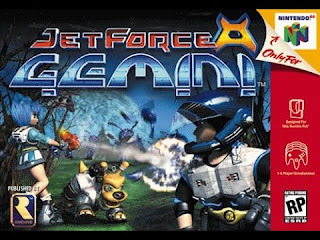 Go back and run that again if you don’t remember and tell me it wasn’t the better game. Oh yeah, this was Rare too. CLASSICS ON CLASSICS. -I’m not sure how many people played this. 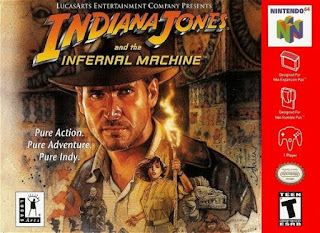 I remember walking around Blockbuster (yes, Blockbuster, the gamer's paradise in the 90’s) and seeing this and being intrigued just on the strength of the Indiana Jones name. 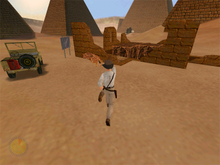 What I got was a game clearly inspired by Ocarina of Time’s control scheme that felt like an Indiana Jones movie. 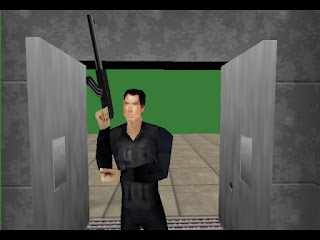 Now being honest, the control scheme didn’t necessarily fit what LucasArts was trying to do, but it worked nonetheless. 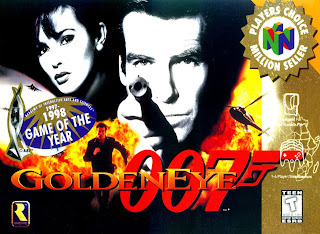 This is in my opinion the most underrated N64 title ever and strangely enough, the true predecessor to the Uncharted series. I mean after all, those games are inspired by Indiana Jones. These are just a few of the great games we saw on this iconic system. I honestly might double back for a part 2, because that’s how many classics were in this console. 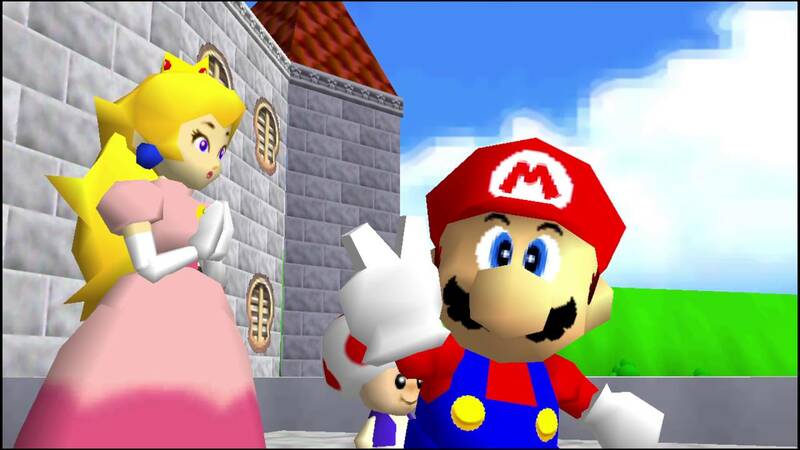 So stay tuned next week, because the SNES and PS2 retrospectives might get pushed back so I can come back around.